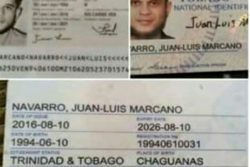 (Trinidad Express) While some people woke up Ash Wednesday still recovering from Carnival festivities on Monday and Tuesday, one Diego Martin family were organizing funeral arrangements. The matriarch of their family died alone in a hospital bed, and relatives say if she had gotten the blood she needed, the 71 year old would still be alive today. The family says their mother always enjoyed Carnival but was robbed of taking part in the festivities this year due to a failed health system in the country. 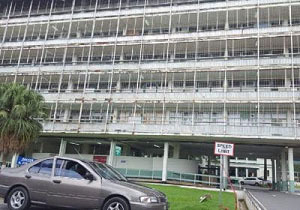 She says her mother’s life was snuffed out prematurely due to failed protocols and inadequate actions by doctors at the Port of Spain General Hospital. 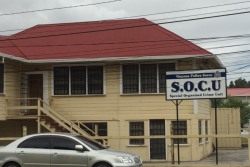 The family says the Carnival weekend turned into a nightmare after they admitted their mother to the St James facility on Saturday after she complained having shortness of breath, weakness, and dizziness. “After checks were done they diagnosed her with internal bleeding due to intestinal infection along with low blood count. She was then transferred to Port of Spain General where they were able to stop the bleeding and give her blood to alleviate this issue. A minor operation was done to stop the bleeding, however, doctors said, she would need more blood to stabilize her,” relatives said. Family members with the same blood type were on standby ready to give blood, but they never got the chance to do so. She passed away on Carnival Monday. The 71 year old would have been 72 on April 17. 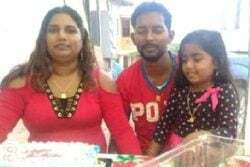 The family is claiming doctors at Port of Spain General Hospital did not treat their mother’s case with urgency, and because she was not deemed a priority, doctors were negligent in caring for her which resulted in her death. Relatives said, what compounded the problem was finding out the Blood Bank was closed and would be opened by Ash Wednesday. “With this in mind, I am quite fearful of my own life if I should fall sick and require blood,” said the son of the deceased. The family got a copy of the cause of death, and doctors said it was due to septicemia, infective endocarditis/pneumonia, and haemorrhage secondary to duodenal ulcer, and hypertension. The family says they are not satisfied with the report since their mother was never given the blood she needed, and her condition was never stabilized. Though the 71 year old had an implant operation in December, the family says the operation was successful. The family suspects her daily dose of Non-steroidal Anti-inflammatory Drugs (NSAIDs) caused terrible side-effects which made her condition even more acute. Through the pathology report, the family says they were made aware that their mother had a severe bacterial infection. Since December, the 71 year old had seen several doctors at different hospitals and family says they were never made aware of the serious side-effects of the drugs their mother was taking on a daily basis. The family is astounded that doctors scheduled her follow-up for blood test in 2020, after she had recently undergone heart surgery to put in the pace maker. 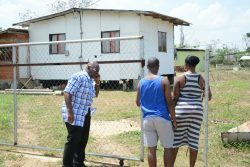 Left with more questions than answers, the family is calling on the Minister of Health Terrence Deyalsingh to do a full investigation into the matter.